This news release discusses the challenges, options and solutions for process manufacturers when checking packages for the consumer and/or processing industry. Check-weighers are automated systems designed for checking the weight of packaged commodities for the purposes of internal control and external trade application. The checking process is usually found at the end of production processes in any given industrial process flow. For external trade applications, legal requirement is obligatory. The worldwide O.I.ML. (International Organization for Legal Metrology) recommendation R51 outlines these rules, while the MID (Measurements Instruments Directive) is Europe specific and the NIST Handbook 44, edition 2014, covering check weighers in chapter 2.24 is relevant to the United States. Category X: determine and compare the weight within defined tolerances for purposes of acceptance or discarding of a package. Such tolerances are typically mandated, similar to the e-mark registration. Packages that are outside of the given tolerances are automatically removed from the process line. Both categories can be static or dynamic. In the latter case, the package is in motion for example on a conveyor belt. This will typically have an adverse effect on the weight due to accelerations and vibrations of the mechanical parts. Under such circumstances PENKO instruments excel because of their sophisticated state-of-the-art filtering processes. Furthermore, they are certified in accordance with the MID directive and OIML R51 recommendation. For registration purposes, PENKO offers specifically designed e-marking software. Background information on required accuracies is found in OIML recommendation R 51-1, edition 2006, tables 1, 2 3, 4 and 5. 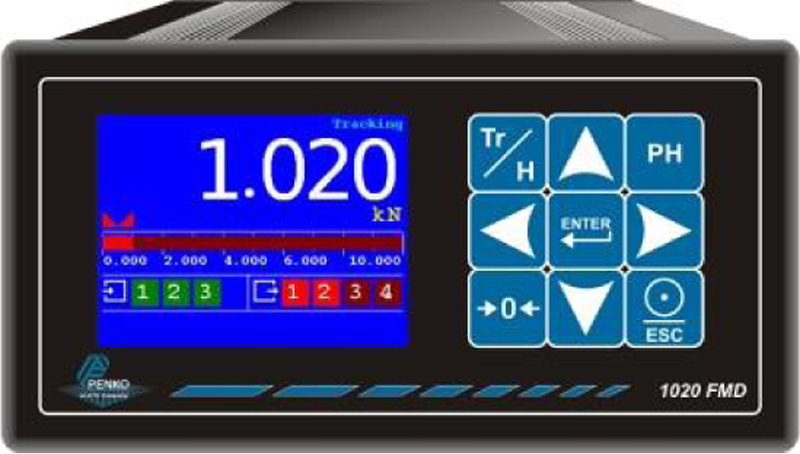 The following image shows a typical example of a combination of eight class Y check weighers; in this particular case for bulk loading of trucks. The graph shows a negative dosing effect. Below are two typical examples of a static or dynamic class X check weighers. The first graphic depicts a pusher – ; the second image shows discrimination of under- and overweight. Note: these combinations of belt conveyors belt can also be used, optionally without pusher(s) for class Y applications. A high resolution filtering system combined with high speed – high accuracy measuring, offers smart weighing results for any operation environment. All instruments are certified and approved with an accuracy of 10.000d. The combination of measuring at high speed (1600 samples/s) with a high internal resolution (24 bits), smart filters and sufficient computing capacity, make the SGM800, 1020 Controller and FLEX range suitable for any check application. The combination of the high resolution and conversion speed guarantees the best achievable mass control accuracy even at high speeds, thus preventing eliminations of packages and recalls. The SGM800 range of digitizers/controllers, model 1020, model FLEX-2100 and FLEX. PENKO instruments control the filling system as well as the checking application all in one. All PENKO systems are “Slave” systems. Checking packages for trade at high speed and accurate while adhering to regulations in the most effective way, remains a challenge throughout the processing industry and will vary from one manufacturer to another. Consideration not only needs to be given to dynamic effects, but the prevention for not correct filled packages to enter the market and disapproving of parties of packages and recalls. To engineer the most efficient way per industry, per product, per manufacturer, there is no “one-size-fits-all” solution. Engineers at PENKO work out the best and most effective way this can be done. For more information, please contact marketing manager Susanne Krause at Penko.